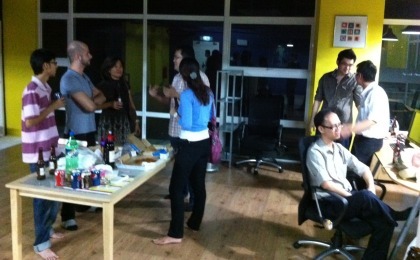 In conjunction with the launch of our office incubator, we’re inviting friends from all our Groups to join in the fun. The aim is to see web developers from different teams, iPhone apps developers and freelancers come together and have a chat. If you are coming over, do take note that you won’t find our address on our official website. We don’t have admin staff that sit around to answer calls either, but what we do have is a better way of handling things. Plus, you’d be interested to know that we don’t have official working hours either! Sounds crazy? It’s radical, but it works! Come on over and find out how this is the place to discuss and make our products and services better!